Stairlift For Easy Mobility, Centerville. Are you finding it difficult to climb or descend your stairs? You can make your life easier by exploring some options. You may consider moving to a single floored house where stairs will no longer be part of your daily. However, that is most likely the least popular option. The most practical and far more cost-effective option is buying a stairlift and hiring professionals to install it. 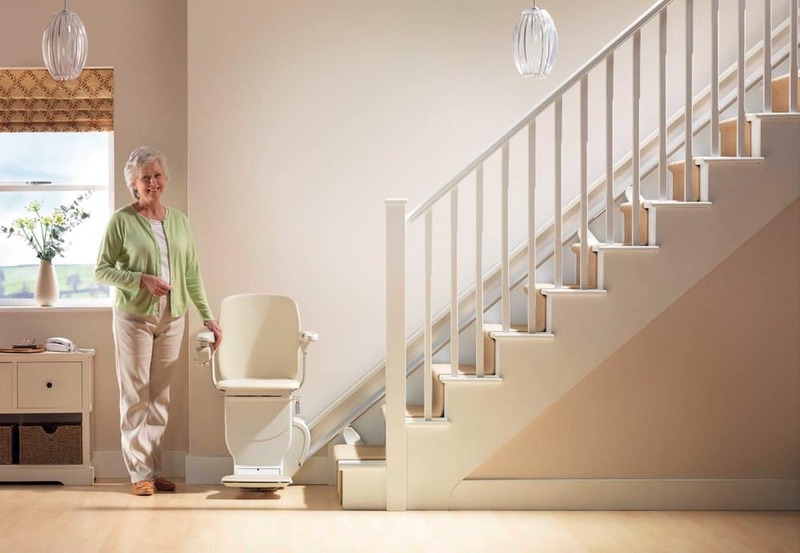 Below are THREE essential tips to consider when choosing a stairlift for easy mobility. Stairlift For Easy Mobility. You can get impartial advice from health professionals to help you decide whether you need a stairlift installed. They may even refer you to organizations and charities that help with stairlift finance. Do you know any family or friends who’ve installed stairlifts for easy mobility in their homes? They can offer you great insights about their experiences. Speak to them about the process. Your family and friends may have had good experiences with some companies, and they may recommend them to you. A personal recommendation will go a long way to inform your decision-making. Visit impartial stairlift reviews websites that compare various aspects of stairlifts such as warranty options, aftercare services, and cost. Your choice of stairlift will depend on the style of your staircase. Here is a list of common types of stairs and their respective stairlift options. 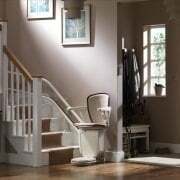 Almost all types of traditional staircases can accommodate a stairlift. You can easily install a straight stairlift to single flight stairs that ascend in a straight line. It usually takes a couple of hours to install this cost-effective type of stairlift. You’ll need a curved stairlift if you’ve a curved staircase. Curved stairlifts can end up being more costly than straight ones because they’re made bespoke. 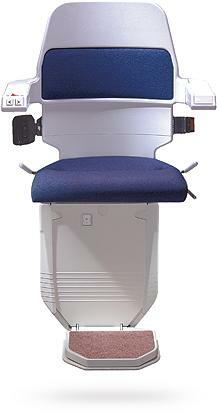 However, these stairlifts are far more versatile as they’re made to the individual staircase. 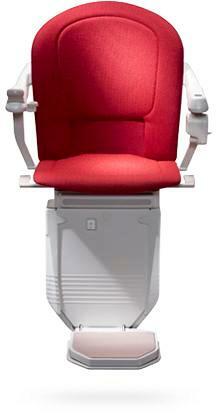 You may need a transfer platform stairlift if you’ve two straight staircases joining with a small landing. Essentially, this is two straight stairlifts, but it is essential to consider the user’s ability to transfer themselves from one seat to another. A curved stairlift will move on a continuous track across the landing. For that reason, it would be the best option if you are unable to transfer to another stairlift seat. You may want to consider a perch stairlift if you’ve a very narrow staircase and you can stand for longer periods. However, technicians from Stannah Mountain West Stairlifts can install a narrow stairlift to your staircase if you are unable to stand. There should be clear access to your stairs around the lift track for you and others. So, the track needs to be fitter a small distance away from the top and bottom of your staircase. You may require an outdoor stairlift if you’ve exterior stairs down into a garden or leading up to your home. It’ll be possible to fit an outdoor stairlift to the stairs whether you have straight or curved exterior stairs. If you have exterior stairs leading up to your home or down into a garden, then you may require an outdoor stair lift. Whether your exterior stairs are curved or straight, it will be possible to fit an outdoor stairlift to the stairs. Finally, and importantly, it is important to assess your budget is very important. A common question that arises for those considering investing in a stairlift is ‘how much does it cost’. However, this isn’t a straightforward question as one may assume. 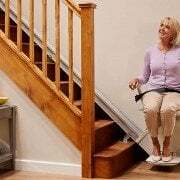 The cost of stairlift for easy mobility, Centerville vary due to the wide variety of staircases, and the bespoke nature of installing them. Arrange a FREE, NO-OBLIGATION home visit with experts from Stannah Mountain West Stairlifts to discuss the actual cost of your stairlift. Call us today at (888) 542-3834 or fill out an online contact form.